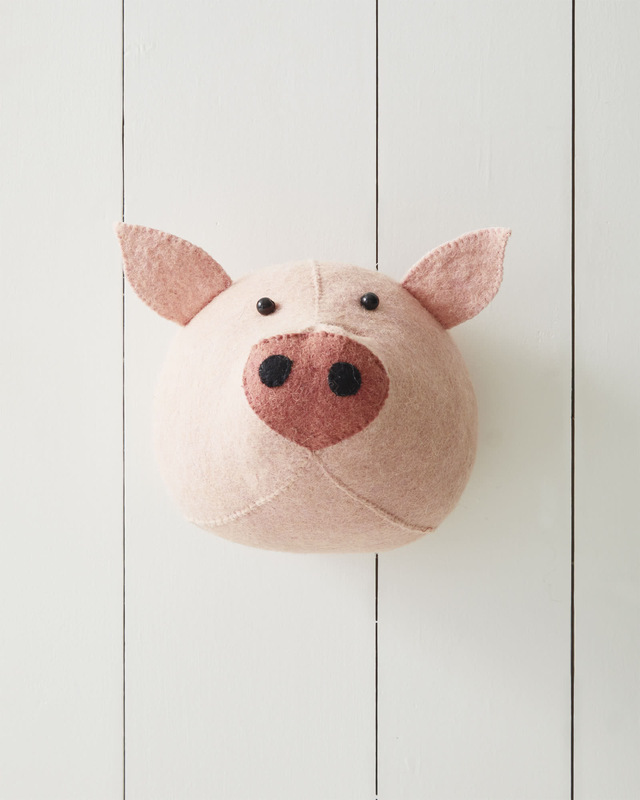 Felted Wool Wall Animal – PigFelted Wool Wall Animal &ndash; Pig, alt="Felted Wool Wall Animal &ndash; Pig, "
Print Sometimes barnyard animals need to come inside. From the hand-stitched details to the super soft, organic lambswool, this brings well-crafted whimsy to the room. Lightweight and easy to mount on the wall. 100% felted, organic lambswool exterior. Comes with a single-wire hanging hook; mounting hardware not included. Overall: 9"W x 10"L x 5" D, Base: 6 1/2""DIAM. Estimated ship date is 6/10/2019.